Spica Publishing was established in July 2006 to publish high quality supplements for science fiction role-playing games. Our writers, artists and contributors are located around the world in the UK, the USA, Canada, Israel, Hong Kong and New Zealand, giving Spica Publishing a truly global perspective on our roleplaying game products. We pride ourselves on the high quality of our products and our exceptional customer service. Spica Publishing produces third-party supplements for the current edition of the Traveller science fiction role-playing game. However, it is envisaged that we will eventually support other sets of role-playing game rules and there is always the possibility of producing books for genres other than science fiction. Join our free forums to keep up-to-date with the latest news. Like Spica Publishing’s facebook page. Join the Spica Publishing group on Facebook. Follow Spica Publishing on Google+. 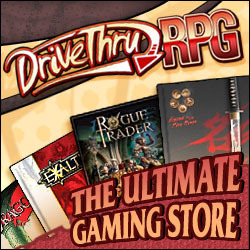 Find our products on DriveThruRPG.com and RPGNow.com. Prize Pack 1: The Career Bundle: Comprised of Career Books 1, 2 and 3. Prize Pack 2: The Outer Veil Bundle: Comprised of the Outer Veil sourcebook written by Omer Golan Joel and Richard Hazlewood and The Astral Splendour adventure for the Outer Veil. Prize Pack 3: The Worlds & Adventures Bundle: Comprised of System Book 1: Katringa, System Book 2: Xibalba and Allies, Contacts, Enemies & Rivals.